The manufacturer of means for cat's toilets Fresh Step company Clorox very much cares of that to favourite pupils was as much as possible comfortable to celebrate need. One of problems from which all cats suffer and from which struggles Fresh Step. Poor animals are ready to wait «to the last» if only not to go to a smelly toilet. 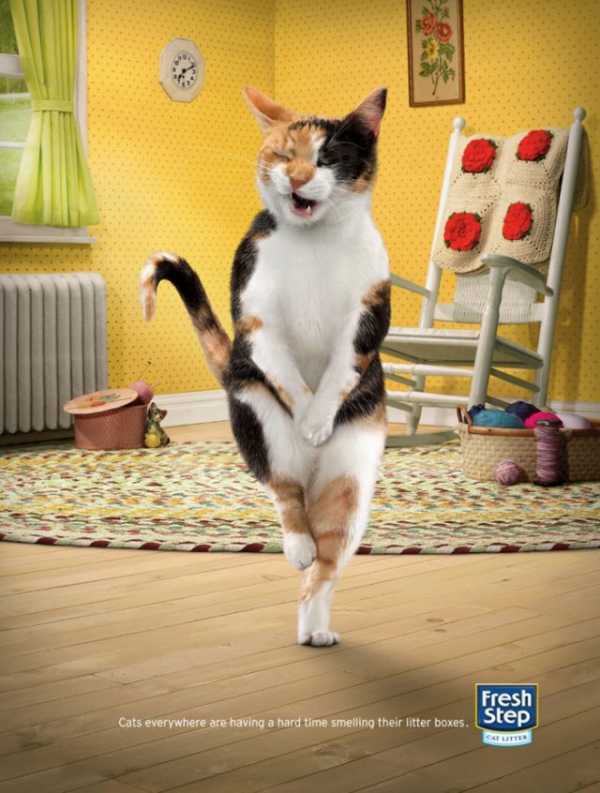 Slogan: Cats everywhere suffer, smelling the excrements.